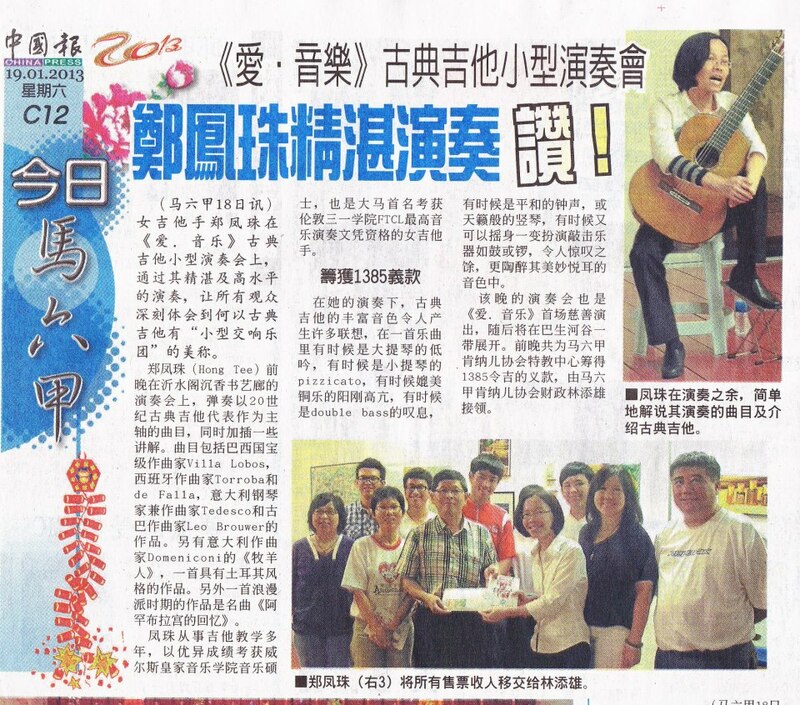 Love.Music is a classical guitar charity concert series: the result of a collaboration between the classical guitarist, Hong Tee, and several welfare organizations, music schools and institutions in Malaysia. 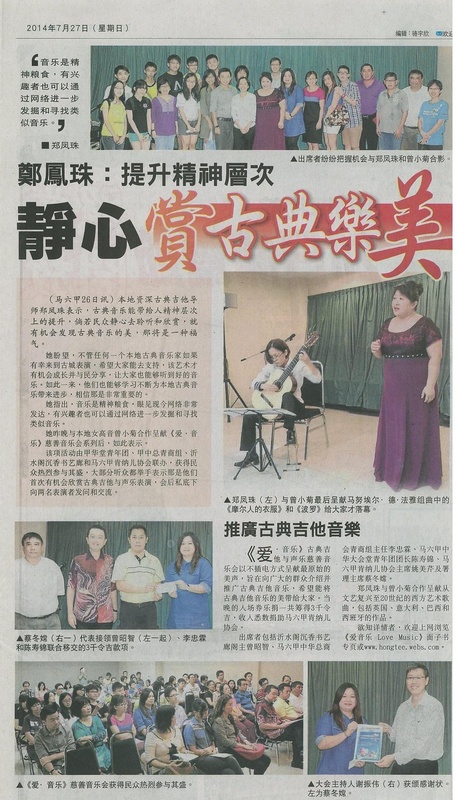 The goal of the series is both artistic and charitable: bringing the intimate and amazing world of the classical guitar to the local community in the Klang Valley and other states of Peninsular Malaya and, at the same time, giving a helping hand to those in need in society and the world at large. 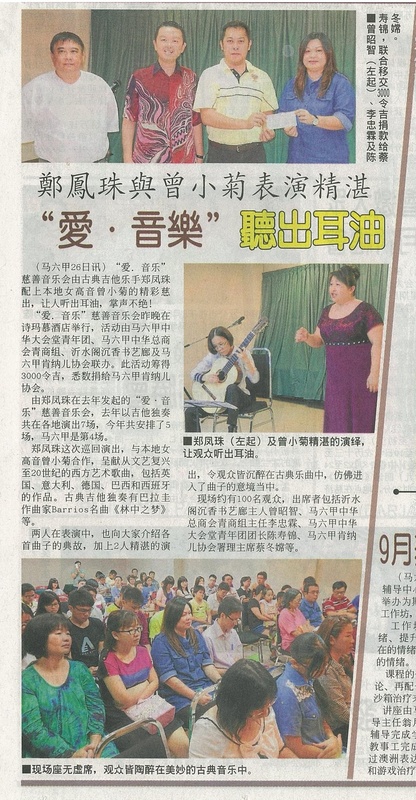 The series began in 2013 with seven recitals thoughout the year, grew in 2014 into a Voice + Classical Guitar five-concert programme featuring Hong and mezzo-soprano, Alice Ching and, in 2017, evolved again into a platform for the younger generation of classical guitar players in which Hong and eight of her students presented a three-concert programme with a repertoire ranging from the Baroque to the 20th century. Please visit to the facebook page Love.Music for further details of past and forthcoming events.